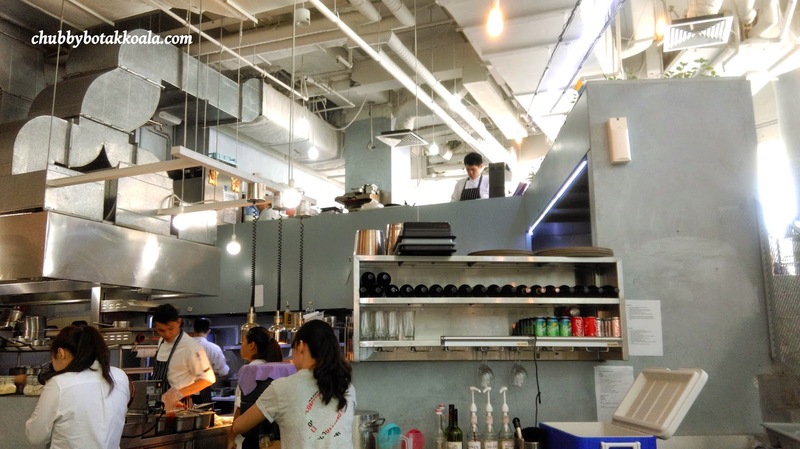 Saveur - a French restaurant set up by Mr. Dylan Ong, Mr. Joshua Khoo and another business partner with the aim to offer quality yet affordable French cuisine to the masses. After the successful outlet of Savour in Purvis Street and Far East Plaza, these two young entrepreneurs just can't keep still and decided to set up a Italian sibbling for Saveur, thus Concetto was born. 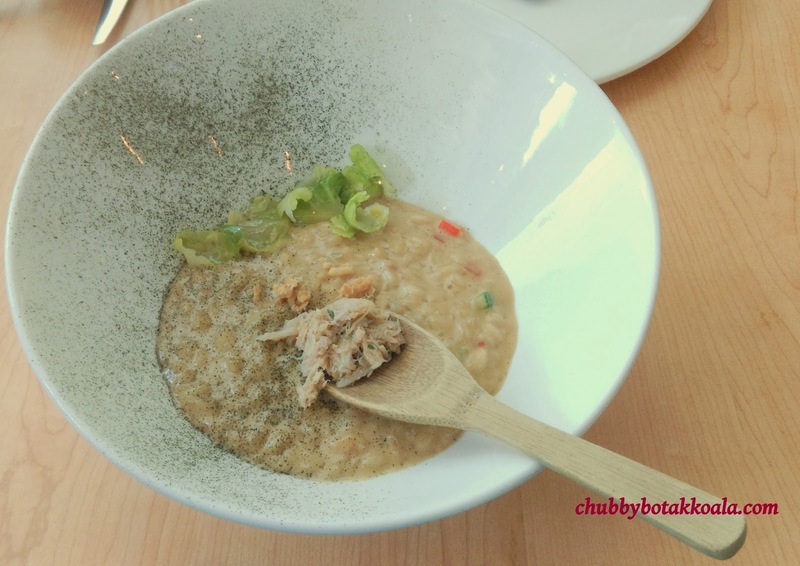 Little Devil ('LD') and I have tried Saveur, for the price we actually find it quite good. 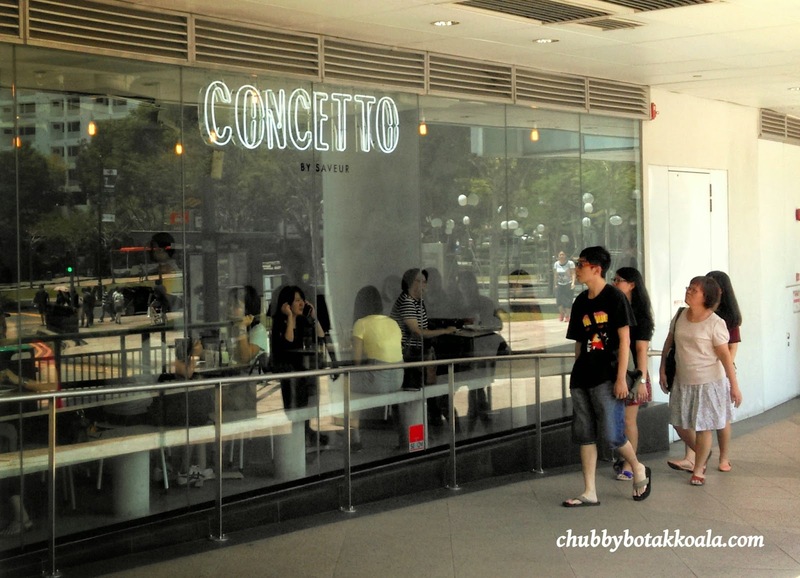 So when the opportunity arises, we decided to tried Concetto. Unlike Saveur that always packed with crowd, we manage to get a seat in Concetto on a Saturday afternoon without any problem. We started our lunch with Buffalo Mozzarella ($8.90). 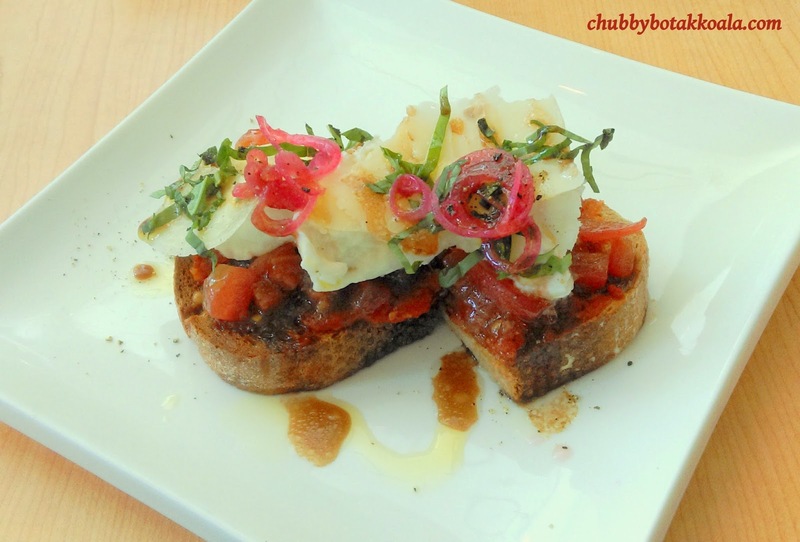 The Mozzarella, fresh tomatoes, parmesan cheese are served on top of toasted rye bread. Drizzle with good balsamic vinegar, it was a good appetizer, light and refreshing. We wished that there were more of the mozzarella. Grilled Octopus Caesar Salad ($11.90). This salad is colourful and beautifully presented. 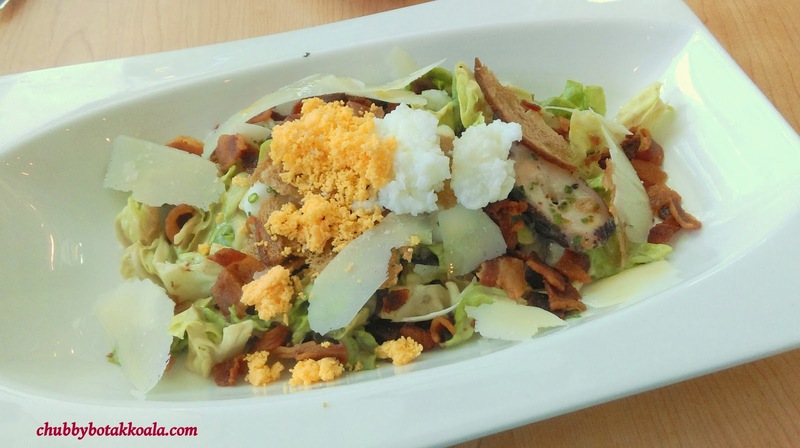 Fresh salad, crispy bacon, shaved parmesan cheese binds well with the anchovies base dressing. The octopus are tender, although slightly limited. However the almost powdered eggs really captured our attention and palate. Yum Yum. For mains, we have Crab Risotto ($13.90) and Wagyu Tender ($26.90). The risotto is al-dente and creamy. You can feel the robust broth absorbs into the arborio rice. To add to the texture, they also use crispy rice, capsicums, cucumbers and brussel sprouts. The crab meat tartare tasted fresh, but it seems that the flavour of the crab in the risotto seems to be missing. Using the Wagyu shoulder, the meat is quite lean similar to filet mingon. Low in fat but tender and juicy. 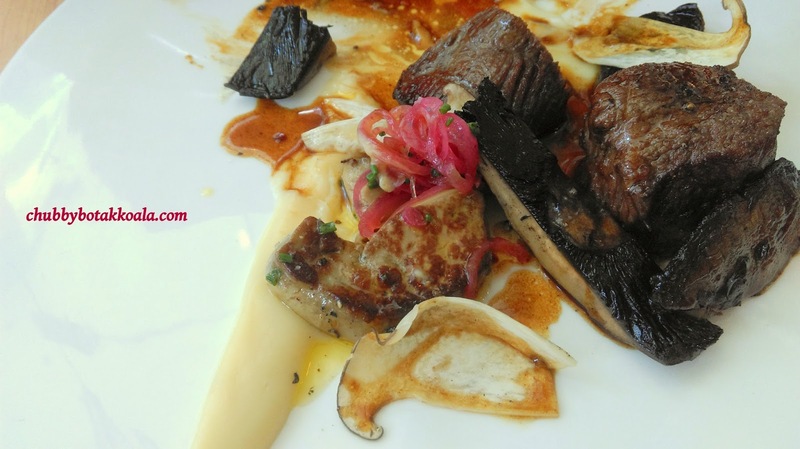 Cooked to medium rare and accompany with foie gras with shallots and portobello mushrooms. 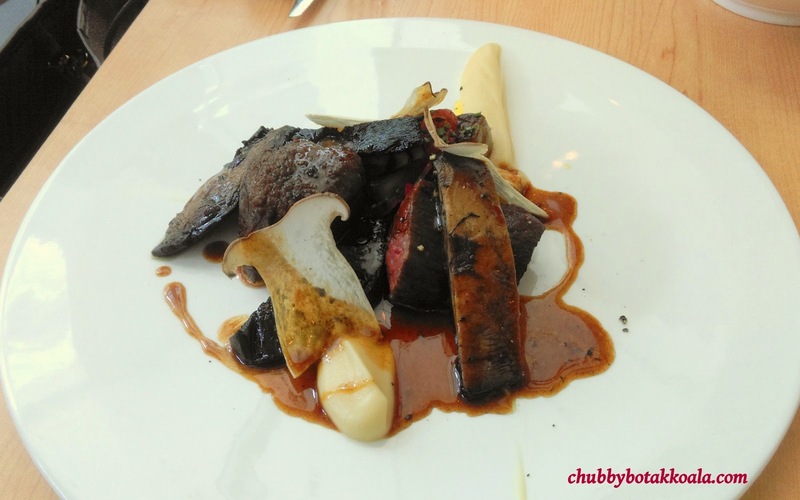 The beef jus that accompany the dish was just perfect. Delicious. Service is good and efficient. The décor of the restaurant is very minimal, however it is bright, spacious and cosy. Rather than charge you for decoration, they decided to pass the savings to the customers by keeping the price low. Overall, we really enjoy our meal here. Concetto interpertation of Italian food is more towards simple, modern, nice presentation and pack of punch. Kudos to them for bringing the food people. Cheers! !